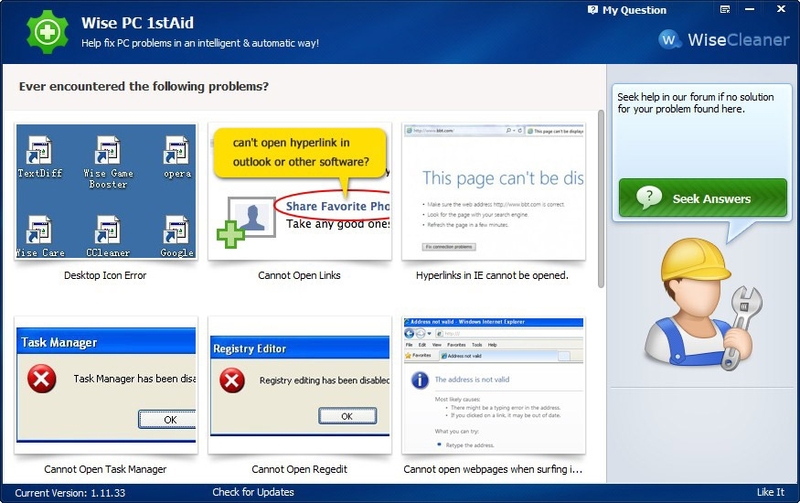 Wise PC 1stAid is the PC problem automatic fix tool. It is an intelligent software which has assembled most common PC problems and helps you fix them automatically through an intelligent process. 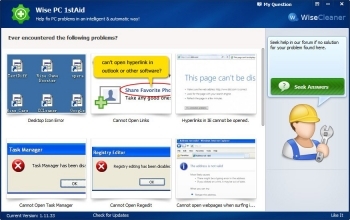 Wise PC 1stAid is one of the excellent freeware from WiseCleaner. Users can use it, update it and get technical support for it for free. Featuring a user-friendly interface, Wise PC 1stAid offers you a simple method for finding solutions to all these problems, without having to deal with complicated configuration settings or system registry modifications.